There is no place like home and Mitchell Stamatellis truly feels that meaning after rejoining Sydney Olympic for the 2016 PlayStation 4 National Premier League NSW men’s top tier competition. Stamatellis played his youth football through the ranks at Olympic before making his first grade debut for the side as a 17-year-old. After moving to Sydney United 58 FC for four seasons, Stamatellis has made the move back and is looking forward the challenge ahead. “I was travelling quite a bit at Sydney United 58 FC and the opportunity came up at Olympic so I took it,” he said. “I loved it at United and still have plenty of mates there. We have already spotted when we are playing them at Edensor Park which will be a tough match. “Coming back to Olympic, I fit in really quickly because we have a great bunch of guys. Stamatellis will be one of the more experienced players in a youthful line up at Belmore following a raft of roster changes in the off-season and is ready to play anywhere the team need him. “I’m happy to play either in the midfield or at centre back but I am probably more likely to play at the back this year,” he said. “Like I said it’s a young team at Olympic and I think Grant wants us to have a strong spine. “Howie (Fondyke) will be in the middle of the park as well so I think we will be covered. Journeyman goalkeeper Justin Pasfield has come back to his home town club the Wollongong Wolves, in what is a massive boost for the south coast club ahead of the start of the PlayStation 4 NSW National Premier League Season. Bringing with him a wealth of experience which includes stints at five Hyundai A-League clubs and a season in Singapore, Pasfield is happy to be back playing in his home town. The Wolves custodian has had a strong off season and is looking to make an impact come the start of the 2016 campaign. One of the main factors in Pasfield returning to the club was his friendship with new coach Jacob Timpano, who the custodian rates with high regard. “I haven’t seen that side of Jacob before because we’ve only ever been teammates, but from day one he’s been professional and he’s very, very good at what he does. Although having moved from Sydney United 58 FC back to the Wollongong over the summer, Pasfield made special mention that he held his former club in the highest regard. Peter Makrillos is ready to show the Australian football fraternity the skill and flair that had him training in the Stoke City youth academy for the last three years after signing on with the Rockdale City Suns. The Suns have been highly active in the transfer market throughout the PlayStation4 National Premier League’s top tier men’s competition in the off-season, acquiring a plethora of talent to bolster their already strong squad. But in Makrillos they have a massive surprise for the league, who spent the last six years plying his trade in Europe. “It was a very good experience overseas, I learnt everything that I could want to learn and trained with Barcelona for nine months with players like Arsenal’s Hector Bellerin and several other good players,” he said. Makrillos wasn’t sure what his next step was in his football career but had an aim of playing in the Hyundai A-League. What he didn’t realize was his sister and Sydney FC player Heidi Makrillos was already being asked about his services. “Paul Reid asked about me because he knew Heidi at Sydney FC,” he said. “He called me and I think being a player himself he understands everything. If Makrillos’ pre-season form is anything to go by – which includes three goals and two assists in four games – he will be one to keep an eye on. “I am happy with my football but it is all about the team,” he said. FORMER Blacktown City defender Yianni Fragogiannis’s decision to join rivals Sydney United 58 FC may have sent shockwaves around the premiership, but the 24-year-old has no regrets and can’t wait for the new season to get started. After earning a swag of honours at Blacktown, Fragogiannis’s arrival at Edensor Park was a huge surprise given the success he’d achieved at his former club. With national and state championships, a minor premiership and Waratah Cup under his belt, the talented right back’s future seemed secure at a club where collecting silverware has become second nature. In three seasons at City, Fragogiannis not only won plenty of silverware, he also developed many close friendships, making his departure an emotional one. Since arriving at United, Fragogiannis and his new teammates have been put through a brutal preseason by head coach Mark Rudan and his support team. A hard taskmaster with a sharp football brain, the man who doubles as a pundit on Foxsports is desperate for his side to improve on what he describes as an “inconsistent” 2015. As one of a few new signings at Edensor Park, Fragogiannis has worked hard to gain the respect of Rudan and his new teammates, a scenario the young defender has taken in his stride. Fragogiannis also hopes to pick up a few tips from his new boss, a former Socceroo centre back whose professional career included stops in Germany, Liechtenstein, Japan, China, Malaysia and Australia, where he enjoyed stints at Sydney FC and Adelaide United. A skilful passer of the ball and a player who enjoys setting up play through the midfield, Fragogiannis brings a lot to his new side. But perhaps most importantly, he brings plenty of experience and the knowledge of what it takes to win. Given the club’s celebrated history, expectations are always high at Edensor Park. A glorious past in the old National Soccer League produced a who’s who of Australian football, a list that includes the likes of Mark Bosnich (Manchester United and Aston Villa), Zeljko Kalac (AC Milan), Robbie Slater (several clubs including Lens, Blackburn Rovers, West Ham United and Southampton), national team captain Mile Jedinak (Crystal Palace), Western Sydney Wanderers boss Tony Popovic (Sanfrecce Hiroshima and Crystal Palace), and even a young Tim Cahill, who was a part of the club’s youth system before heading to England and developing into arguably the greatest player in Australian football history. The halcyon days may be long gone but with such a rich culture in the game, anyone affiliated with the Croatian-backed club demands nothing but the best of their team. So where will the side finish this season?  It’s not often a PlayStation 4 National Premier League side boasts an AFC Asian Champions League and Hyundai A-League Premiership winner in its ranks. It’s less often such a player is poached from a cross town rival. However, that’s exactly what Blacktown Spartans have done with the signing of midfielder Yianni Perkatis from Blacktown City. The former Western Sydney Wanderers first team player has plenty to play for after a difficult 12 months. The defensive midfielder was released by Tony Popovic’s Wanderers side after the 2014/15 A-league season before an unsuccessful three month stint with Blacktown City. However, the 22 year-old is determined to find his way back to the A-League or abroad and knows only a successful season at Blacktown Football Park will put him on the path for a return to professional football. “The most important factor for me when signing with the Spartans was how I fit into coach Ben De Haan’s plans and my opportunities for game time,” Perkatis said. “I came in mid-way through the season last year at Blacktown City and struggled to break into an established side in top form. Perkatis said signing for his former team’s biggest rival didn’t put him off from putting pen to paper on his Spartans deal. “You have to move clubs in football. It is just the nature of the beast and all players know this,” he said. “There has been a bit of banter sent my way from some of my former team mates but at the end of the day it is just a bit of fun and we are still all mates.